A Exquisite Boutique Hotel In Pattaya ideally located in the heart of Pattaya’s shopping, dining and entertainment district. 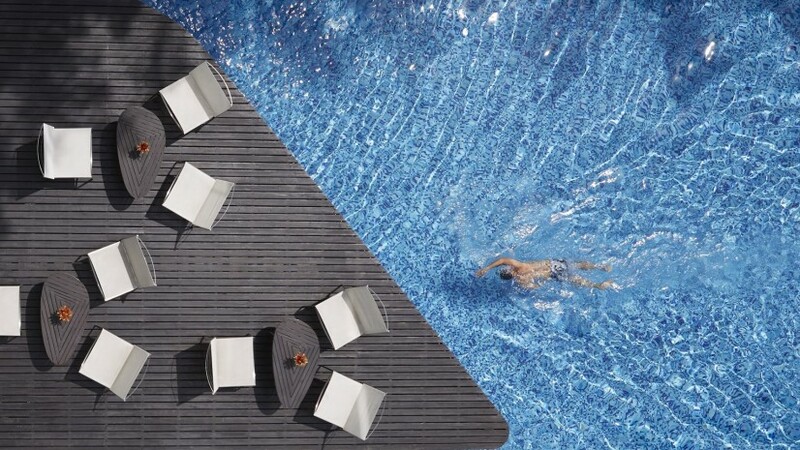 Hotel Baraquda Pattaya MGallery Collection by Sofitel is the natural choice for discerning guests looking for a true boutique hotel in Pattaya. "Since opening the accolades this boutique hotel in Pattaya have been coming thick and fast"
Travel and Leisure magazine describing Hotel Baraquda as a “stunning boutique design hotel” while Property Report magazine mentions the “Hotel Baraquda Phenomena.” The Hotel Baraquda Pattaya was voted one of the Top 10 best-designed hotels in Asia by RFP magazine in Hong Kong and is the only boutique hotel in Pattaya for Asian finalist in the FX Awards in the UK. Being a boutique hotel means your holiday begins the moment you step through the door of the hotel. Our 3 nautically-themed room types in this boutique hotel in Pattaya, consist of Deluxe, Baraquda Suite and Baraquda Grand Suite, are the epitome of boutique cool and range in size from 37 sqm to an impressive 80 sqm with all rooms in our boutique hotel coming fully equipped with flat-screen TVs featuring a full range of international channels, free Wi-Fi and LAN connectivity, luxury bathroom amenities, tea and coffee making facilities and a work desk, while our suites truly enhance your boutique experience in this boutique hotel in Pattaya with a jacuzzi and capsule espresso coffee maker. "Our boutique hotel concept extends to the superlative personal service you receive at our various dining outlets in this hotel in Pattaya." Nauti Café offers a tantalizing selection of homemade pastries and Lavazza coffee while S.E.A. restaurant by the pool’s chefs conjure up a selection of freshly-prepared fusion, international and local fare. For the ultimate in chilling out in this boutique hotel in Pattaya, the rooftop Sunset Lounge provides an incomparable 360-degree vista of Pattaya with a full menu of exotic drinks and enticing cuisine in the boutique hotel in Pattaya The hotel also features an outdoor pool and pool bar, meeting facilities, hi-tech fitness centre and internet corner making Hotel Baraquda the first choice for guests who desire the perfect boutique hotel in Pattaya.